Save money with the September discount code. Visit our website and click Facebook Page, and find the latest Woven Labels Discount Code from our Facebook Page. 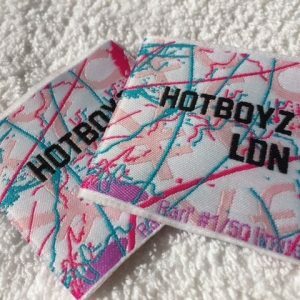 Perfect Labels-Lanyards are the UK based professional & reliable custom woven clothing labels supplier. We provide professional knowledge and consultation related the design of garment labels. Contact us today to order your brand woven label. Our knowledgeable design team will help and guide you through a perfect and unique design for your textiles product. All our woven labels are customized to design artwork; if you are not sure how to start a woven label design; it is absolutely fine; just tell us what you wish to achieve and our design team will work with you to deliver a bespoke woven label design. Visit our Facebook Page, and check out all the latest woven labels uk discount code.